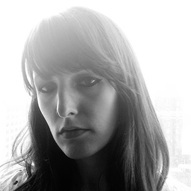 Meghan Privitello's first book, A New Language for Falling out of Love, is forthcoming from YesYes Books (Fall 2014). Poems have appeared or will appear in Kenyon Review Online, Gulf Coast, Sixth Finch, Pinwheel, Drunken Boat, Boston Review and elsewhere. She currently serves as co-editor of The New Megaphone. You can follow her on twitter @meghanpriv.